Depression is a disorder which is not a sign of personal weakness or a condition that can be avoided easily. People with a depressive disease cannot even concentrate on many activities, associated with their daily lives. 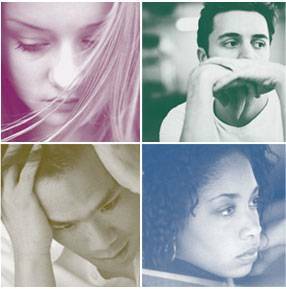 Moreover an individual feels more burdened if he/she is suffering from pain along with depression. Thus, the British researchers stated that pain has a greater effect when a person is under depression. On the other hand when healthy people were exposed to an environment where they came across depressing thoughts & sad music, then they felt distressed & thus displayed a strong disapproval of pain. Berna suggested that pain can only be treated if depression is treated in a proper way with the total consent of the person, because depression will give rise to pain which will further make it worse.